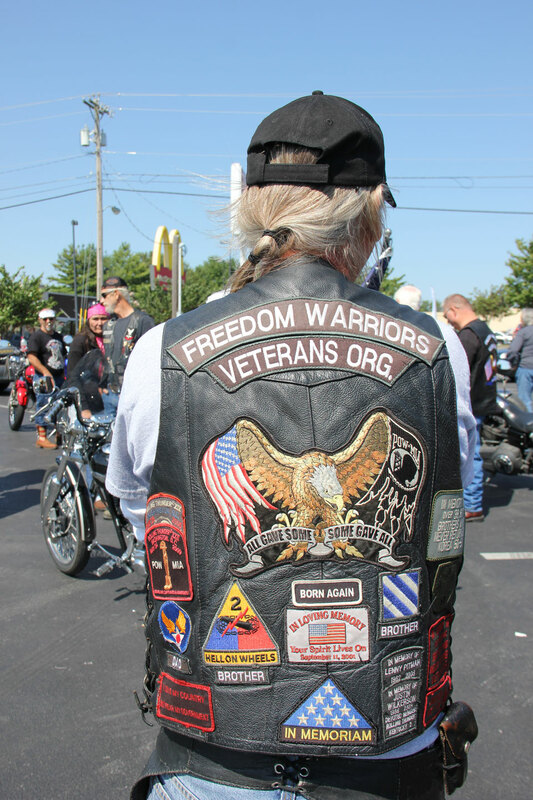 A motorcycle group from Glasgow called the Freedom Warriors Veterans Organization passed through Columbia Saturday. 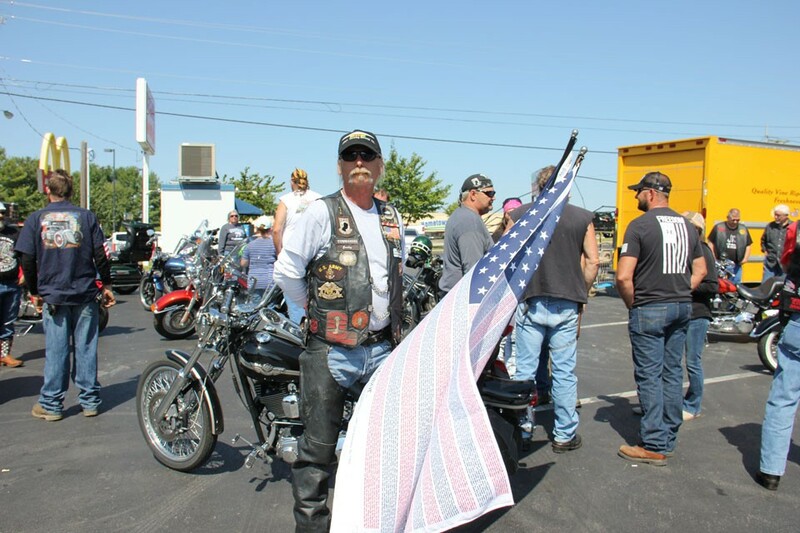 Group Commander Ernie Wagoner said the ride was held in honor of the lives lost on Sept. 11, 2001 as well as the people who died in the Sept. 11, 2012 attack in Benghazi, Libya. Wagoner said that he would be remiss if he did not remember the lives that were lost in Benghazi as well. “Several of the members of the group are in fact Veterans themselves, but being a Veteran is not required to become a member, the only thing required is to have a love for this great country,” says Wagoner. 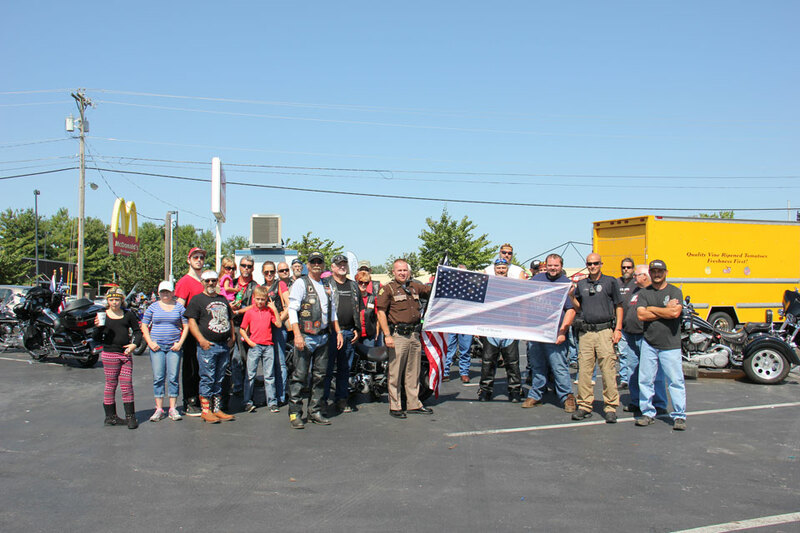 Local law enforcement officers Deputy Sheriff Brandon Hitch and City Officer Jamie Cole escorted the group and visited with them while they were in Columbia. The group carried with them a flag carrying the names of the 2,977 people who died on Sept. 11, 2001.